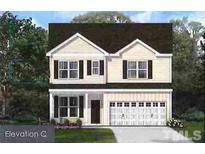 Find Wake Forest, NC New Homes for sale. View Photos, Maps and MLS Data Now! This home will be ready in October 2019! ! MLS#2250466. 1935. This home includes beautiful features such as a fireplace, granite countertops, extended kitchen breakfast with a sitting room in the master bedroom and tile shower to name a few... Don't miss out on our final opportunities and incredible value! MLS#2250507. 2983. FamRoom: Cstm Black Slate Surround Gas Log Fireplace w/Cstm Wood Mantle, Recessed Lights! MLS#2250504. 1128. FamRoom w/Custom Surround Gas Log Fireplace w/Mantle! MLS#2250077. 1128. MstrBth: PlankStyle TleFlr, DualVanity w/Granite, Cstm Paintd cabinets w/SftClse, TleSrnd Garden Tub & seperate TleSrnd Shwer w/Bnch! MLS#2248778. 1128. Berklee Estates is the place to be! 3 CAR GARAGE TOO!! ! MLS#2248646. 5180. Family Room: w/Coffrd Ceiling, Cstm Srrnd GasLog Fireplace w/Manlte & Built-ins & 12' Slider to Scrnd Porch & Deck! MLS#2248209. 1128. MstrBath: Tile Floor, DualVanity w/Cult Marble, Freestanding Tub & seperate WalkIn Shower! Family Room w/Quad Windows! Huge Bonus Room! MLS#2248175. 1128. 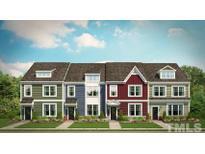 Homesite is on great cul-de-sac location! MLS#2248417. 4443.